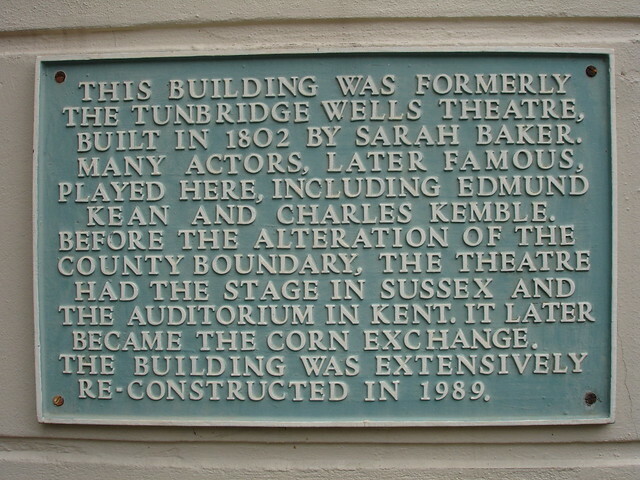 This building was formerly the Tunbridge Wells theatre, built in 1802 by Sarah Baker. 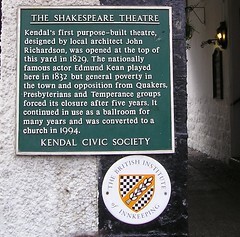 Many actors, later famous, played here, including Edmund Kean and Charles Kemble. 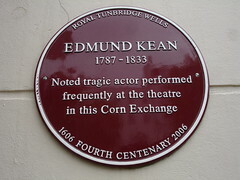 Before the alteration of the county boundary, the theatre had the stage in Sussex and the auditorium in Kent. 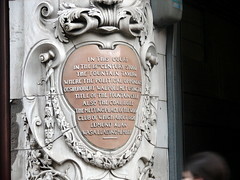 It later became the Corn Exchange. 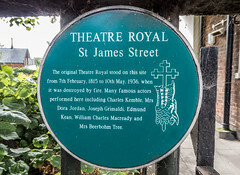 The building was extensively re-constructed in 1989.